It is known, the visit of a masterpiece opens the appetite, because beautiful things and good times go hand in hand. There are plenty of restaurants around Casa Batlló, but prices are often quite prohibitive. Do not forget that you are here on one of the most famous avenues of Barcelona, ​​the Passeig de Gràcia. There are some of the finest shops, often the flagship stores of major brands, great restaurants and great hotels. All this at a price!! Just for you, and wanting to counsel for you to have a really good souvenir when visiting Casa Batlló, we have selected these restaurants and best tapas in Barcelona with two criteria: quality of products and small prices. Enjoy a visit to this masterpiece by Antoni Gaudí and enjoy the meal ! 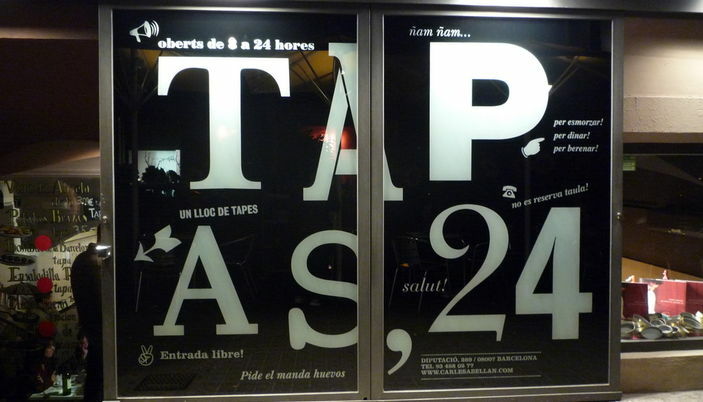 Tapas 24: Good Plan: Tapas by a great Catalan chef but at very reasonable prices. 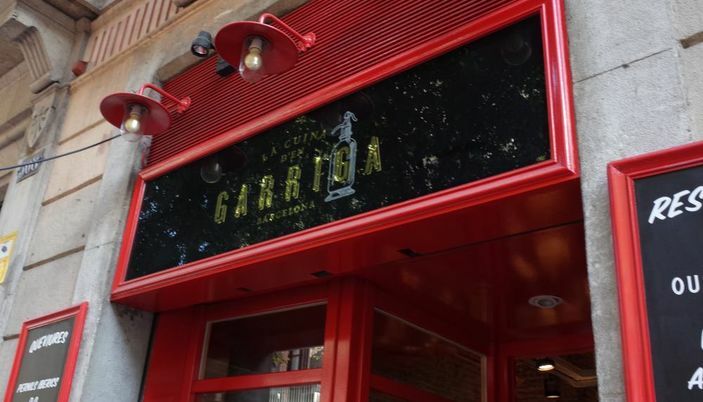 Opened every day from 9 to midnight Tapas,24, the new restaurant of the chef Carles Abellan (Comerç 24) aims to make it possible to the customers to taste breakfasts and tapas at all hours of the day. It is well decorated, fast and fun with traditional tapas but also Comerç 24’s like tapas as this McFoie Burger, small hamburger with the foie gras. One finds there also small dishes like Catalan tripe, braised calf and fish of the market. 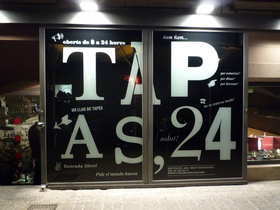 Tapas,24 has a lot of success. To envisage a little waiting at the entrance which is not far from the center. 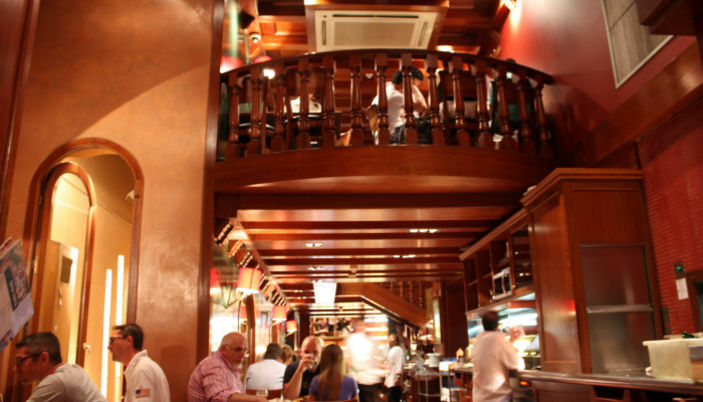 Ciudad Condal : a classic in Barcelona; Quality tapas, quick service and reasonable prices. Do not hesitate. Ciudad Condal is the old name of the city of Barcelona. 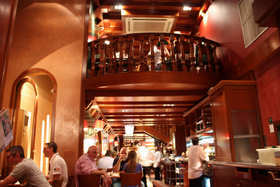 The place opened in 1997, is known for its large choice of beers and for its tapas. Always full inside, nice wooden decoration, as well as outside where there is a typical terrace on the middle of Rambla Catalunya. It's a very good address. At first look you might think that it's quite commercial (rapidity of the service, waiters waiting for you) but once you tried the tapas you understand that working people or connoisseurs are here to have a good lunch. All kinds of tapas, desserts, fine wine and alcohol will reconcile you with a hard day working (to come) or hanging around. Opening hours : Monday- Sunday from 8am to 1.30pm. Cerveceria Catalana : a well-known tapas restaurant. Tapas in abundance, good quality and especially small prices ! Cervecería Catalana is a beer bar and a tapas restaurant in Barcelona. It is considered one of the best places in the city to try the more tasty tapas. You can find all kind of tapas and "montaditos" (piece of bread with something on top). When you get in you should first have a look at the huge range of tapas they have and then choose. Because it's a beer bar, they als offer national and international beers. You'll have problems to decide for one! It's not an expensive place, you can see that the products are excelents because it's always full! Try to be there "early"
Opening hours : From Monday to Friday from 8ham to 1:30am. Saturday and Sunday they open at 9ham. Closed for Christmas. 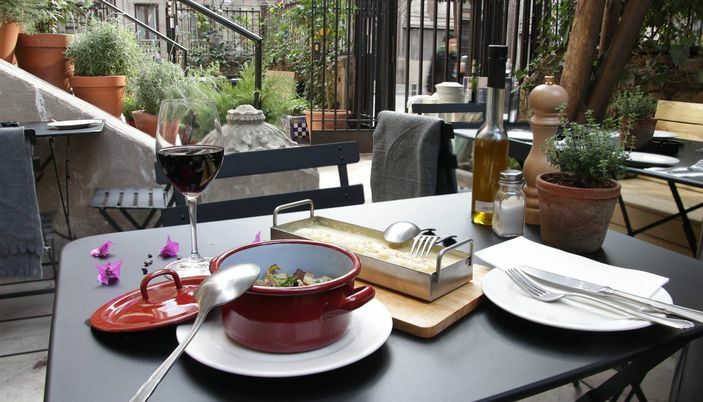 El Mercader de l’Eixample: A quality slowfood restaurant with a beautiful terrace. 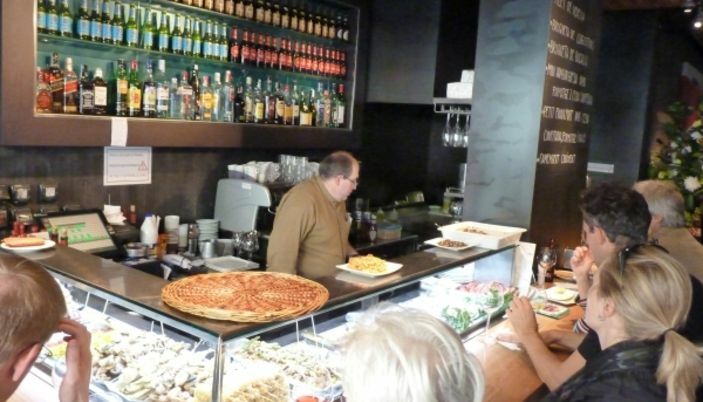 But to have fun at little prices you must go to the bar: delicious tapas at Barcelona prices ..
Great location just up the Rambla Catalunya, El Mercader Eixample, offers and this is very significant, a beautiful terrace open all year .. Yess, it’s like this in Barcelona ! In a beautiful setting so, one appreciates this authentic Catalan cuisine made from regional products when they just do not come out of their own garden. Proximity and quality found in the plates with dishes here called "de toda la vida" (everyday dishes): Parillada de verduras con Salvitxada (a sauce for the calçots) € 6.80, Mijillones de roca a la marinera € 4.80, Frincando de ternera € 9.60.. They also serve tapas at the bar.. Enjoy this address before it became too trendy! Toto : Italian food in a trendy restaurant but a little expensive a la carte, but ... They have a sublimely good lunch menu for € 15.90 at noon .. So do not hesitate !! If the prices are soaring quickly in the evening it's good to know that the midday's menus at 15.90€ for three dishes are a golden opportunity, knowing that all the products are from the market or biological and km 0. In front of the success of this restaurant you better book online thru their website. 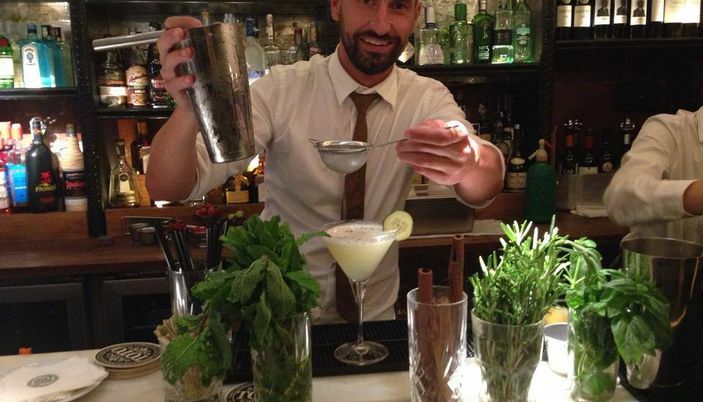 A bistro Catalan, Spanish and even a little international, a cuisine for discerning gourmets next to Casa Batlló. We taste here natural and authentic products elaborated with a beautiful imagination that never undesirably deflates. 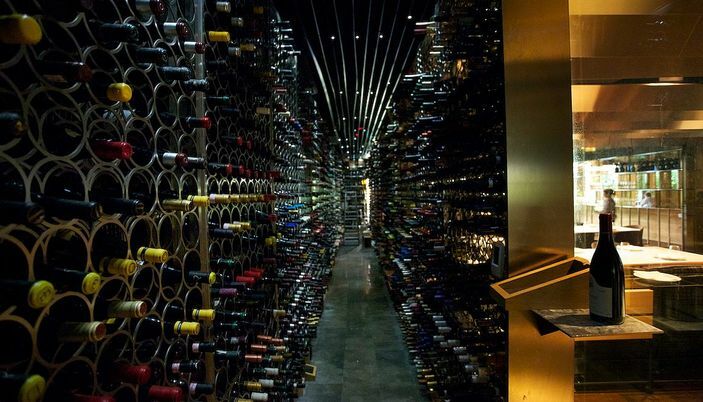 As for the decor, you are like in a grocery store, surrounded by products selected with love according to one criterion: the quality of production and flavors. This long bistro is indeed very visual and warm. Nice also to be able to take away chosen provisions. The menu is simple like for all real bistro with special attention to seasonal products. An eclectic menu: quinoa salad (11.8 €), lentils with foie gras (11.40 €), salmon sashimi (13.20 €), hamburger (14.90 €), octopus (19.50 €), shoulder of lamb (29 € ). For a light meal or for a richer one, Cuina D'en Garriga has many fans, it is better to book! The service can be real slow sometimes.